1. A binding contract between us will come into existence when we issue a confirmation of booking letter. 2. It is essential that you check your booking confirmation letter as any amendments to this may be charged for. 3. Prices stated in our Brochure are inclusive of VAT at 20% and are subject to change if the VAT rate changes. Prices are correct at time of going to print and are subject to change at the company’s discretion. 4. You must pay the deposit stated in the brochure when you book, and the balance of the price of your holiday must be paid in full 9 weeks before your arrival date. If you book within 9 weeks of the start of your holiday, you will be required to pay the full price of the holiday when you book. Special offers may have alternative rules on deposit & balance payment dates, please enquire when booking. details, we may speak to you when you arrive. If we are not satisfied by your response, then we may cancel the booking, but a full refund will be given. 7. All reservations must include a person of at least 18 years of age. 8. Only persons listed on the registration form may occupy the accommodation allocated. 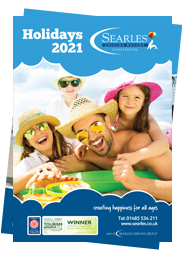 Searles Leisure Resort specialises in providing holidays for families with young children. 8.1. If you ask to make a booking for more than 2 people we may require that you provide evidence to our reasonable satisfaction that you are all couples or all members of the same family. If we are not satisfied by your response, then we may cancel the booking. You will receive a refund in accordance with our Cancellation Terms below, if applicable. 8.2. If you request a group booking (by which we mean a booking for more than one unit or pitch) or a single occupancy booking, then we may contact you before deciding whether to accept the booking, to help us decide whether we are able to provide the holiday experience you are looking for. For this reason, all group or single occupancy bookings must be made at least 7 days in advance. 8.3. 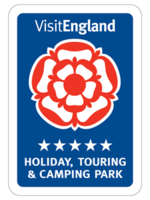 Associated Bookings - You must tell us when you book if your booking is connected to any other booking on the park, for example because you know the people making that booking or you share a common purpose in visiting the park. If you fail to tell us of a connection, then we may cancel the booking immediately and (if your stay has started) require you to leave the park. You will receive a refund in accordance with our Cancellation Terms below, if applicable. 8.4. We reserve the right to obtain the name, date of birth, and gender of each member of your party before confirming your booking or at any time. You (the booker) must be a member of the party unless we agree otherwise. Failure to provide us with full details may result in us rejecting your booking, delaying or denying your access to the Resort. We wish to maintain a safe and secure environment for you and your party and we may ask for identification on your arrival. 9. The number of persons allowed in all accommodation booked is restricted to the number of berths in the accommodation. Beds are not available in the lounge areas and all homes cannot exceed the berth limitation. 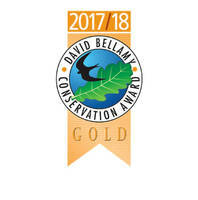 Tourer/Tent bookings are restricted to the sleeping capacity (maximum 8), and one tent or tourer per pitch, except for 1 additional 2-berth pup tent (or smaller) which must be requested at time of booking to ensure the pitch size is suitable. Please note if you exceed the occupancy in any of our accommodation or pitches, members of your party may be moved to an alternative pitch or accommodation, and you will be charged accordingly. If no alternative is available, you may be asked to leave the Resort. 10. 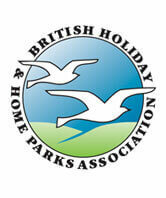 Caravans/Lodges may be occupied from 3pm on the day of arrival until 10am on the day of departure. Tourer/tent bookings are from 2pm on the day of arrival until 11am on the day of departure unless otherwise stated. Any change to these arrangements will be notified on your booking confirmation letter. If you do not depart at these times we may charge you a late departure fee. Maximum stay is 2 weeks. 11. When you arrive for your Holiday, please report to Reception, producing your receipt. Unless we are notified of your late arrival, any Caravan, Lodge, Tourer/or Tent pitch not occupied by 10am on the day after your notified arrival will be re-let. 12. Early Book-in for accommodation only, allows you entry 1 hour prior to normal arrival times stated and is subject to availability at the Resort’s discretion. 13. We cannot guarantee, unless you hold a valid Searles Gold Card, that you will be allocated a specific unit of accommodation or that 2 or more units of accommodation booked will be located together. However, we will do all that we can to meet your needs. 14. You may park up to 2 cars beside your unit of accommodation when booking a Caravan or Lodge. When booking a Tourer or Tent pitch, you may park 2 cars beside your pitch, but you will be required to pay an additional fee for the 2nd car as stated on page 53. This is subject to the size of your Tent or Tourer and pitch space and therefore cannot be guaranteed. This is not available on 8 meter pitches. NO VEHICLES OF A COMMERCIAL NATURE ARE ALLOWED. 15. No Pets, except for guide dogs, are allowed in any accommodation unless specified by prior arrangement in our dedicated Pet Friendly Homes. No pets are to be left in a car. Up to a maximum of 2 well-behaved dogs are allowed per pitch/accommodation unit at any time. All dogs must sleep in their own dog bed and we ask you not to allow your dog onto the furniture or beds of our homes. If you take a pet into a holiday home which is not booked as pet friendly, you will be required to pay an additional fee of £150 for the deep cleaning of the accommodation. 16. Certain types of dog are not allowed on site, including Rottweilers, Pitt Bull or Staffordshire Terriers, German Shepherd (or Alsatian), Doberman or any dogs listed on the Dangerous Dog Act list, or any half breeds of such dogs. Although we understand that not all dogs within our excluded list are unfriendly, this is a Searles policy as a family park. 17. All dogs must be kept on a lead under the control of a responsible adult always. Well-behaved dogs on a lead are permitted in our new dog-friendly zone within La Piazza and the outside terraces of La Piazza and The Fountain Sports Bar, but dogs are not allowed in any other indoor area including the shop, entertainment or leisure club, offices or toilets, nor are they permitted in non-pet friendly accommodation, including the outside decked areas of that accommodation. Certified guide/assistance dogs are accepted in all venues. 18. Dog owners are responsible for clearing up after their dogs and disposing of dog fouling in the bins provided. Aggressive dogs or noise disturbance will not be tolerated, and you will be liable for any damage caused. 19. The units of accommodation illustrated in the brochure are typical of the accommodation available. However, the unit of accommodation allocated to you may differ slightly from those printed. 20. We ask that you use your accommodation and its contents with care and consideration and leave it in a clean and tidy condition on your departure. All accommodation is non-smoking, please see clause 36. 21. All Caravans/and Lodges are fully equipped with cooking and domestic utensils. Adequate duvets and bed linen are provided. An accommodation inventory can be made available to you if requested in advance. 22. We reserve the right to make a reasonable charge to you for any damages, missing items or extra cleaning, including damage to other guest’s property. A guide to our current charges is available on request and will also be documented on the charge sheet included in your welcome pack or accommodation, additional copies are available at reception for your reference. You are requested to bring your own waterproof mattress protectors if required as you will be liable for the replacement of any mattress which is soiled by you or your party. 23. You will be required to lift ground sheets to allow the grass to recover, when booking a tent pitch for more than one week. 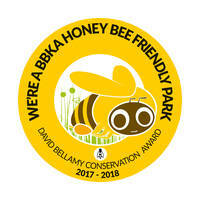 Eco friendly ground sheets are preferred on the Park. 24. Only proprietary makes of tourer are accepted on the Park. 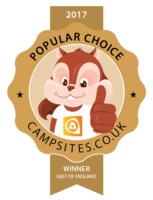 Please note that Tourer and Tenting pitches are set sizes, so please ensure that you accurately state the size of your tourer/or tent upon booking, to ensure that the correct size pitch is allocated to you. Your caravan or tourer cannot be dropped off, the towing vehicle must be available during your holiday in case of an emergency. 25. No washing of dishes or laundry is to take place in the toilet blocks. Separate laundry and washing up areas are provided. 26. We do not allow fire pits, burners or open fires of any kind. disposable BBQ, please use it in those areas. Please take particular care when disposing of hot coals or disposable barbecues. You will be responsible for any damage as per Clause 22. 27. You are responsible for the behaviour of all members of your party. Behaviour should be in keeping with the family environment and should not be excessive, noisy or disruptive, especially after 10 pm at night. Offensive, aggressive or illegal behaviour or language towards anyone (including our staff) will not be tolerated and may result in the police being involved. Clause 37 gives us the right to ask you and/or any member of your party to leave immediately for serious misconduct, for example, if your conduct results in police attendance or is considered by us to be seriously inappropriate; likely to cause harm; or impair the enjoyment, comfort or safety of anyone; or is likely, in our belief, to breach any of this agreement. No refunds or compensation will be given in these circumstances and we reserve the right to reject any future bookings from you or any member of your party. 28. No ball games using hard or semi-hard balls may be played on the Park. 29. The use of drones is not permitted on park. 30. The speed limit of 5mph within the Park must always be observed. The usual rules of road traffic law apply on our park. Bicycles, scooters, go karts, and similar items must be ridden responsibly across the site. 31. Sound producers are not to be played at any time to the annoyance of others on the Park especially after 10 pm in the evening. 32. If you are suffering from a contagious or infectious disease which may be transmitted through the use of any facilities on the park, then you may not use those facilities. 33. You are responsible for all breakages, including windows and any damage caused by you, a member of your party or any pets and these must be replaced or paid for, prior to departure. 34. You must not cause a nuisance on the Park and must ensure that no member of your party does so either. members of Searles Club and understand persons under 18 are not permitted to acquire or consume alcoholic beverages. 36. All homes and indoor venues are strictly non-smoking, this policy extends to the use of vaporisers, e-cigarettes or other similar devices due to their similarities to cigarettes. 37. If you or any member of your party commit a serious breach of this Agreement or any of the rules displayed at the park, Searles Camping Ground Limited reserves the right to terminate the booking and expel you from the Resort. If the breach is capable of remedy, then before we cancel the booking we will give you a written notice which gives you the opportunity to remedy the breach within a reasonable period. Depending on the nature of the breach, this period may be short – for example a notice relating to anti-social behaviour will generally require remedy within one hour. If you are asked to leave the park under these circumstances you will not be due a refund, nor any compensation, and you and your party may be refused future bookings with us. Please Note: Adult = 18 years + and we only permit swimwear to be worn in the pool, not normal clothing. 39. We reserve the right to change or temporarily close or withdraw any accommodation, facility, amenity or equipment when necessary, due to health and safety reasons, maintenance, servicing, refurbishment or any events beyond our control. When we do carry out any such action, we will do our utmost to avoid as much disruption or inconvenience to your holiday as possible. We are only liable to compensate you for any of these circumstances if the change is caused by our negligence, takes place after you have booked and has a material impact on your holiday. Please check before booking about any features which are particularly important to you. 40. We have taken all care to make sure our brochures and website are correct at time of going to print/being published. We may make changes, so please check before booking about any features which are particularly important to you. Please also note that photographs of accommodation are examples only and furnishings, layout and decoration may vary. 41. We do not allow guests to film or take photographs in our swimming pool areas. If a professional photographer is shooting photos or video for us, we will endeavour not to disturb your holiday and we will display signs with relevant information about the location and timing of the photography in advance. With this agreement, you give us rights (free of charge) to anything containing your image (or the image of the other people with you) that is made whilst you are with us. If you do not wish to be in shot, please try to avoid the filming area or make it known to us immediately. If you or someone in your family does appear in a photo or video without meaning to, we will do our best to remove the image from our library. a). Free WiFi Access is available in designated areas and is subject to bandwidth restrictions. b). Free WiFi availability is not guaranteed as this is ‘free’ to customers and due to bandwidth restraints, availability may be affected. c). Should you encounter problems with your ’Paid’ WiFi service, please report this to customer services who will initially attempt to assist. In the event of customer services not being available, please call the support number (included in the Guest Information Booklet) available from 8:00 am until 10:00 pm 7 days a week. d). By contacting customer services or the support desk, indicates consent to pass across personal contact details to enable the service to be carried out. e). All WiFi access is governed by UK and International law and all Searles WiFi users are subject to those laws. These are separate from the legally binding laws that may relate to specific content. Please be aware that all Internet activity is monitored with full reporting. f). Searles have a duty of care to its guests and in the event of a user contravening the Searles Internet Usage Policy (available on the website) the indicated course of action will be implemented. Where such action breaks the law, this will be passed to the appropriate authorities for investigation. 43. Should you have any problems with your accommodation or otherwise during your holiday with us, please notify our reception staff immediately so remedial action, if necessary, may be taken. Any complaints brought to our attention, will be dealt with by the Customer Services Manager within one calendar month. It is important that you tell us as soon as you become aware of a matter so that we can investigate as soon as possible. If you do not tell us until after you have left the park, then it may not be possible to find evidence to uphold your complaint. 44. Notwithstanding any liability under the Occupiers Liability Act 1957, or otherwise, all cars, caravans, tents, tourers, vehicles of any description and their contents are permitted to enter the Park at their Owner’s risk and Searles Camping Ground Limited accepts no responsibility for theft, damage or injury whilst on the Park unless this has been caused by our negligence. We recommend that you insure your personal effects, clothing and jewellery etc, in the normal way before coming on holiday. Although we endeavour to return any lost property (subject to postage and handling fees), we cannot be held responsible for any items left behind. Lost property will only be stored for 60 days, if it is not claimed in this time it will be donated or disposed of, or for items of any significant value, we will report the item to the Police. 45. FORCE MAJEURE – We cannot accept responsibility or pay compensation or refunds for any damage or inconvenience caused by Force Majeure including extreme weather conditions. 47. You may change your dates and accommodation within the present year, no later than 4 weeks prior to arrival and is subject to a £30 amendment fee per booking. Subject to availability. 48. Travel Insurance/ Cancellation Cover: Travel Insurance or Cancellation Cover is a vital aspect to booking a holiday, giving you protection against unforeseen circumstances that could otherwise spoil your holiday. We have arranged a scheme with specialists Travel & General Insurance Services Limited, who are fully authorised and regulated by the FCA (firm reference number 304788) full details of which can be found on the FCA website. Please call Travel & General on 020 3794 2954 for a quote. 49. Cancellation: You will be liable for monies paid in accordance to our 'Standard Cancellation Terms' as displayed in the table below. Terms and Conditions are correct at time of publication and subject to change. Travel Insurance or Cancellation Cover is a vital aspect to booking a holiday, giving you protection against unforeseen circumstances that could otherwise spoil your holiday. We have arranged a scheme with specialists Travel & General Insurance Services Limited, who are fully authorised and regulated by the FCA (firm reference number 304788) full details of which can be found on the FCA website . Please call Travel & General on 020 3794 2954 for a quote. Our standard cancellation terms apply in the event of cancellation (see table below); unless you have arranged Travel Insurance or Cancellation Cover with Travel & General (see above). You may change your holiday dates and accommodation within the present year (no later than 4 weeks prior to arrival), subject to availability and a £30 amendment fee per booking. Deposits are shown in the table below. Booking values of £60 or less must be paid in full at the time of booking.Deposits are non-refundable after 24 hours from the time a deposit payment is received. Full balance is due 9 weeks before arrival. Special offers may have alternative rules on deposit payment amounts and dates, please enquire when booking a special offer.